The LCDQ gets legendary; Otis College of Art and Design shows off its graduate work; A + D Celebrates: Identity with a Metro-inspired party; Benny Chan gets WUHO’s Julius Shulman Photography award; and Foodshop serves dinners at the Schindler House. Three upscale estates in legendary neighborhoods, will be on view this year, including this Trousdale Estates mid-century modern overlooking the entire city with ocean views. La Cienega Design Quarter (LCDQ) is celebrating 10 years of its annual three-day mix of keynotes, panel discussions, open houses, trunk shows, cocktail parties, exhibitions, author events, special appearances and window displays — inspired by this years’ theme of Today’s Vision, Tomorrow’s Home. New this year is the rare opportunity to view three estates in iconic L.A. neighborhoods: a gated mid-century modern estate in Trousdale Estates, a French Normandy-style estate on Santa Monica Beach’s Millionaire Row built in 1929 by architect Paul R. Crawley, and a regal Bel Air compound worthy of a prince — or Prince himself, who lived there. Where: La Cienega Design Quarter (LCDQ), La Cienega Blvd. and Melrose Ave.
Tickets: VIP $575, includes pre and post parties, luncheons and other invitation only events. $75 for general programming. Parking and shuttle included. Registration for specific events is required. Click here for the complete schedule and VIP events. Tickets and registration here. 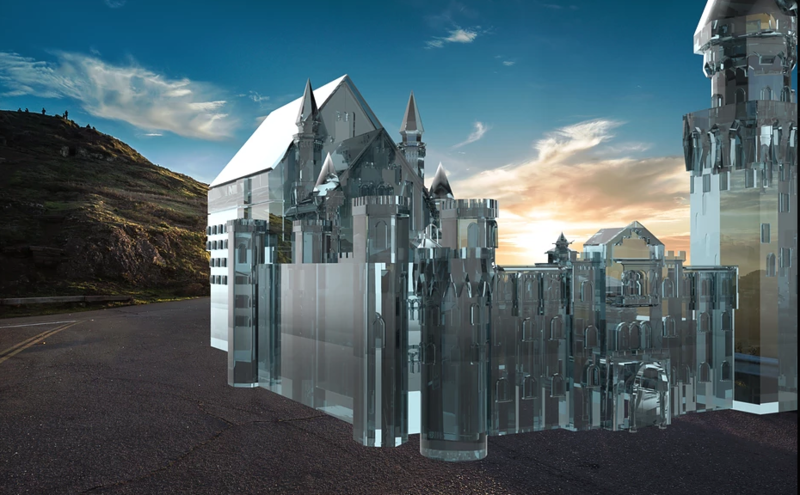 Work by graduating students will be on display, including 3D Environmental Art by Cat Diaz as shown here. Otis College of Art and Design has been training artists and designers in Southern California for cultural and entrepreneurial life since 1918. The Annual Exhibition showcases work by graduating students across departments, including environmental and graphic design, animation, game, toy and fashion (photo top of page shows Otis fashion at their annual runway show). The Exhibition is worth visiting not only for the student work but also to see its campus buildings completed 2016 by Ehrlich Architects and Frederick Fisher and Partners. A snappy new residential hall, 300-seat forum and other amenities wrap around a landscaped court and give Otis at 100 new definition. Tickets: Free. Click here for more information. Where’s your Metro stop? 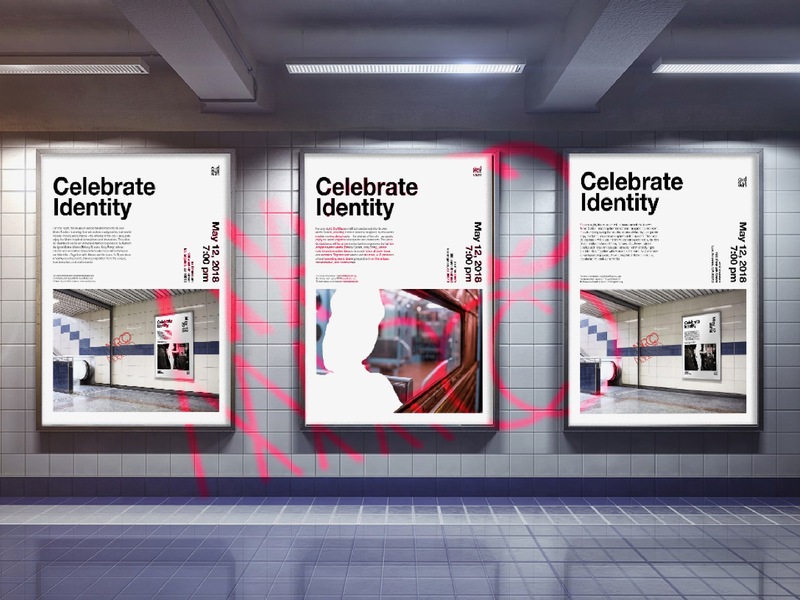 A + D Museum turns into a Metro Station to Celebrate: Identity at this year’s annual fundraiser Gala. Since 2001 A + D Museum has been celebrating progressive architecture and design in everyday life. This year’s Gala theme ‘Celebrate: Identity’ is a bow “to the individuality and grit that drives this expression.” On Saturday night A+D will take on the guise of a Metro station, its walls “illuminated by train station scenery, flower shops, and paper stands,” with “mysterious figures” dressed by fashion designer Marco Marco, known for his fashion shows celebrating a wide range of body types and identities “This year’s theme demonstrates the vital importance of community and individuality to the Museum,” explains A+D Executive Director and Chief Curator, Anthony Morey, and the gala supports the growth of the museum. Tickets: $125 / students $50 – you can get tickets here. 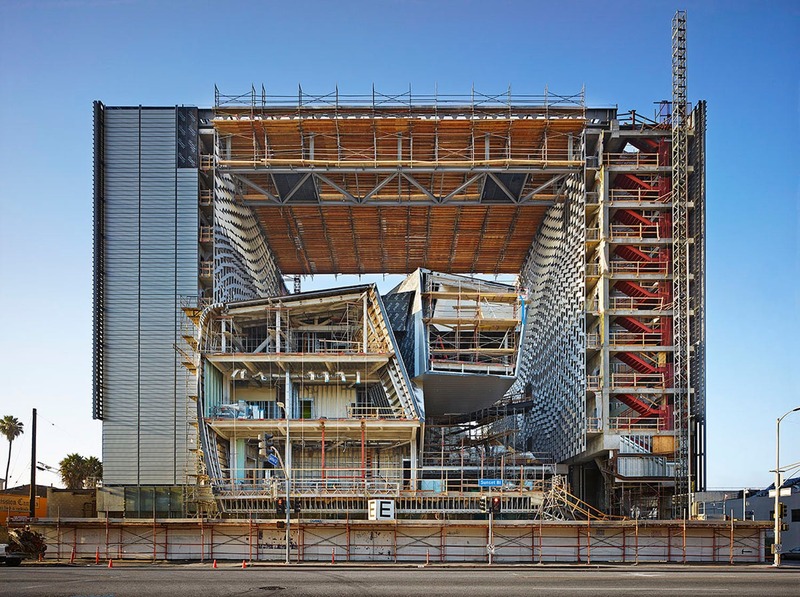 A Benny Chan photograph of the Morphosis designed Emerson College site in Hollywood, work-in-progress in 2013. © Benny Chan/Fotoworks. Art and commercial photographer Benny Chan isn’t satisfied photographing a beautiful, finished building; he wants to show how it is put together, guts and all. This curiosity for the interior life of architecture has helped earn Chan the prestigious 2018 Julius Shulman Photography Excellence Award. After graduating from SCI-Arc in 1992, Chan founded Fotoworks, and the pursuit of his vision knows no boundaries. He hangs from helicopters to get the right angle. He builds his own cameras to surpass focal length limitations of off-the-shelf models, and he finds his way behind the scenes and into highly restricted sites. In his latest series, Chan captures L.A. architecture under construction, as if it were an assembly manual for the city. The photographs will be displayed in his upcoming exhibition, “Above and Behind: The Architecture Photography of Benny Chan”, which opens on the same day Chan will be presented with the JSI Award. Tickets: Free; click here for more information. 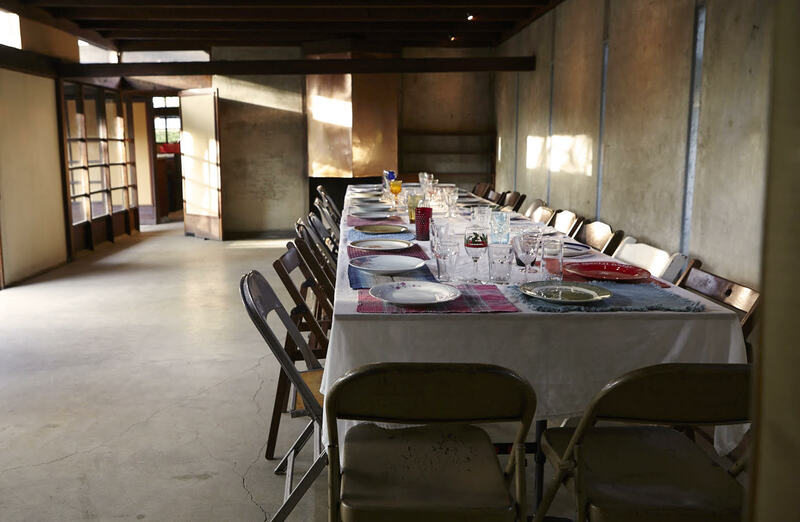 Reserve your seat at the table for the Foodshop Dinner Series at MAK Center’s iconic Schindler House. Enjoy this foodie-architecture mashup with dinner by Venice’s Foodshop at the iconic Schindler House in Hollywood, along with live music sets by local artists. Schindler himself along with his wife, Pauline, regularly hosted artists, musicians, poets, writers, and actors, and turned their home into a center for avant-garde art and inquiry. Today, the Schindler House remains a site for progressive art and thought, and this series of dinners is aimed at helping support this beloved architectural and cultural landmark. Tickets: $95 / $125, includes donation to MAK Center. Click here for menu and reservation information and email office@makcenter.org with preferred dates, guest number, and phone number.